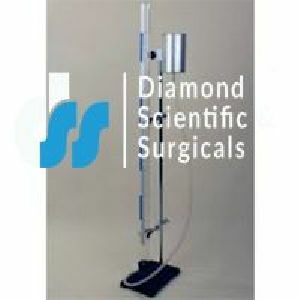 RESONANCE APPARATUS A chrome plated brass resonance tube 100 cm long, a reservoir made of brass capacity 250 ml and a metre scale mounted on a metallic stand. Supplied with rubber tubing. A chrome plated brass resonance tube 100 cm long, it is made of brass capacity 250 ml and a metre scale mounted on a metallic stand. Supplied with rubber tubing. 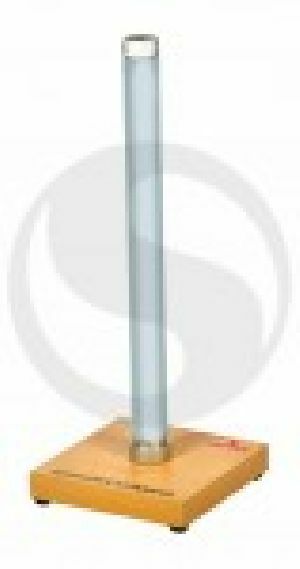 VELOCITY OF SOUND APPARATUS It contains a 120cm long plastic tube, graduated in cm. A water reservoir which can be easily moved up or down, connects the tube which is mounted on a support stand. A clamp for mounting tuning fork over the resonance tube is given. A detailed manual is included. 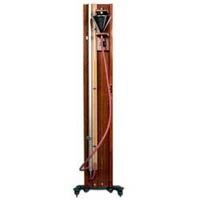 For measuring the resonant length of an air column driven by a tuning fork. 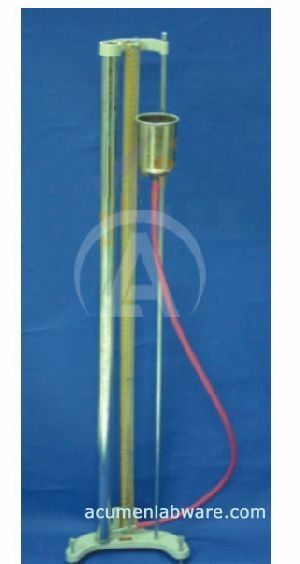 Comprises a brass tube 292×27 mm diameter fixed to a base with a sliding inner tube 305 mm long which allows the length of the air column to be varied from 350 to 530 mm. Objective : To study the Frequency and Waveshape generated by a Hartley Oscillator. 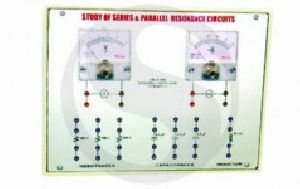 Features : Instrument comprises of 30V DC Regulated Power Supply, circuit diagram Printed & components mounted on front panel. It comprises two aluminium tubes telescoping into each other, so that the column of air within the tubes may be altered from 30 cms to 53 cms, outer tube fits into a wooden base. 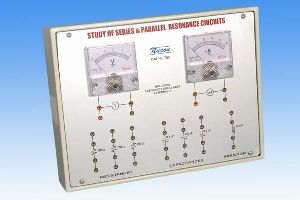 To plot Frequency Vs Current Characteristics of LCR circuit, connection in series parallel. 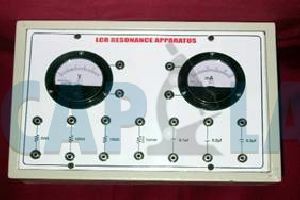 Instrument comprises of 1 Resistance, 1 Capacitors, & 1 Insductance connected & connections brought out at Terminals. 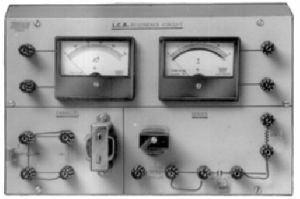 2 AC moving coil meters to measure voltage & current with Audio Frequency Function Generator TE-93. Dimension 10"x8"x3". 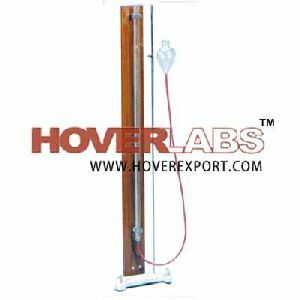 Consists of a chrome plated brass resonance tube 100 cm long, brass reservoir 250 ml and a meter scale mounted on a metallic stand. With rubber tubing.